The Cuvee Olive oil is a blend of olive oil from a subtle blend of different fruit varieties Arbequina olive, willow leaf, and forge empeltre. These varieties mentioned are rich in oleic acid yield and natural antioxidants. Its high content in polyphenols gives great stability. Usually when world oil hear the word “mixture” we tend to associate it with a bad oil quality, and this is largely due to fraud often takes place in the oil sector. Although So this is not the case of olive oil blend because mixing mentioned initially carried out at a grinding phase, and always using good olives and the best quality. It is recommended to consume oil when cooking stews or sauces i/o mayonnaise consistency. In addition to these recommendations also are ideal for use in raw pastas, salads, a little bread and even to accompany cheeses. 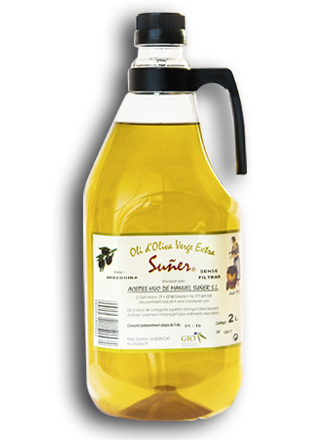 The process used in the production of our oils is qualified to be a careful process to the smallest detail in all phases and our mill has certified the Catalan Council of Organic Agricultural Production (CCPA) . 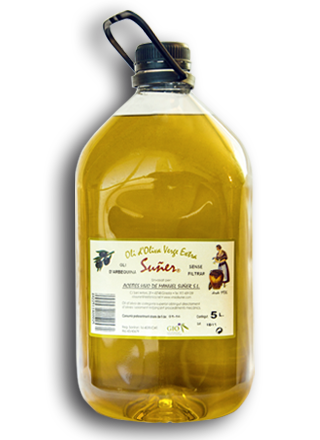 An extra virgin olive oil delicately blended from olives of the varieties arbequina, fulla de salze, farga and empeltre. These varieties are rich in oleic acids and natural antioxydants. 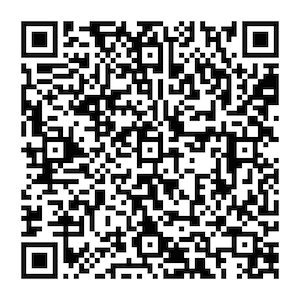 Its high content of polyolefins gives it excellent stability. Recommended use: more and more of this oil is used fresh, but also improves stews, thick sauces and mayonaises.